Most rooms have pool views. Visit Taverna Odas in the old town and The House on the main strip is brilliant for any time of the day. Make sure you buy or have air conditioning when you go. A lot of great places and bars to visit within 15mins walking distance. Gets very hot alot of people tend to hire quad bikes to get around. Malia isn't just for young party animals, it has something for the older holidaymaker too. We spent most of our evenings enjoying a leisurely meal at the superb restaurants in the old town (I recommend Milos, Odas and Stablos) followed by a relaxing drink and chat at Yiannis' bar then back to the apartment bar for yet more refreshments. One night we ventured down Beach Road to 'the strip' just to watch the young 'uns make idiots of themselves - and they didn't disappoint! To say the resort was full of young drunk people, it was quite clean!! Night life was fab, beach was really nice, would definitly go to Malia again!! Malia itself is definately catering towards the young ones with plenty of bars and clubs but at this time of year it is still nice to visit as an elderly woman. You can visit nearby Stalis which is a much more quieter resort and very pretty. Local buses are about E1.40 We took the local train which cost E10.00 and went around Malia and a few local areas and lasted 1 1/2 hours. This is a good way to see the area and then you can catch a local bus to any areas you like. The restaurants on the strip are the usual McD's / KFC's and pizza places and plenty of cafe/bars which cater for all tastes. If your looking for a change and a bit of greek food then head up to top of the strip and cross the road and then head up again into the old town and try some of the restaurants up there. We went to the San Gorgio restaurant which is a beautiful and antiquated building with a varied menu which has all the usual greek dishes and is a little bit more money on the purse strings but well worth it if you only go the one time. There are several other restaurants in the old town and it is only about 15-20 minutes walking from the strip (depending on your walking speed!) There are also some lovely restaurants on the bottom road leading from Malia to Stalis. Very pretty and very reasonable. Malia is in 2 halves old town and gorblimey, loved both. resort entertainment is everywhere, join in or just watch. Malia beach is very good but hot sand on bare feet can catch you out. food anywhere was great. Would i visit this place again? sat many a time wondering why i lived in the miserable uk. Malia is an amazing holiday!! Bars and clubs are all top! Help bar is one of the best bars and banana is a top club also! Sticky fingers is somewhere good to eat, the food is gorgeous! Malia strip was always heaving, PRs are abit annyoing though, you just have to be quite firm with them if you dont want to go into that place! Beach was okay, nothing special only went once and got conned into play 10euros for the week! Malia is definately a place i would go again!!! 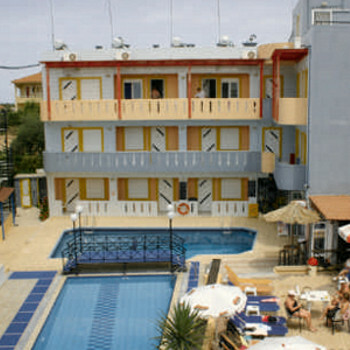 Malia is a lively resort, with alot of young groups of holiday makers there to party hard and long. But there is a diverse mix of people and some beautiful and interesting places nearby. The main beach is very busy and crowded but there are also several other beaches not to far away, some busy, some very quiet. We hired a quad bike so visited a few beaches and some lovely villages, we also went up into the mountains to see some caves and some beautiful views. Food wise there is everything here from McDonalds and KFC to some fantastic traditional family run Greek Taverna's, The Malia Star - within walking distance of the centre is a lovely restaurant with brilliant food and very welcoming owners, we sat there all evening and never felt pressured to buy more drinks etc etc, they also gave us fruit grown in their garden, olive oil made from their own olives and complimentary Raki after our meal. Overall a diverse area of Crete, very interesting and would definately visit again. Eating: Red Lion is fantastic and eat there most of the time would also recommend Sticky Fingers. Drinking: We found Heaven and The Loft to be the best places to pre-drink before we hit the Clubs as they had offers like 5 drinks for 5 euros. Clubs: My favourite were, Candy and Bannanas. But would recommend Apollo and Zig-Zag as they get quite busy too. Excursions: At your rep meeting you will get pressured into buying an excursions package, we didn't buy any off the reps in the end as you can get some cheaper on the strip, but I would recommend some of the reps excursions as they did sound really good. Would'nt recommend Water City as you go on everything within 45 minutes of being there which means you wait around all day. We loved Malia...going again next year! Beach was great with lots of things going on i.e beach parties, watersports, great food an drink and lots of fit young people!! Malia is one of the best resorts on the island,it has everything you could want for a holiday.Loads of bars and clubs ,great returants serving all types of food,from british to greek and italian.If you are looking for a great place to go then malia has it all.